Bowler, Michael J. “Children of the Knight”, Dreamspinner Press (Harmony Ink), 2013. I have always loved the Arthurian legends and I have read in the past as many of them as I could. I was very surprised to find one among Harmony Ink’s young adult series. There is something very messianic about the Arthur stories especially in the idea that he is to return to Britain when he is needed. However, in this novel, Arthur goes not to Britain but to Los Angeles. The new Camelot is to be in Los Angeles and Arthur creates it there so that he can lead a crusade against a society that does not want its kids because of sexual orientation, race, creed, etc and this is a brilliant idea for a novel for the young. Arthur proclaims equality under which everyone is welcome. 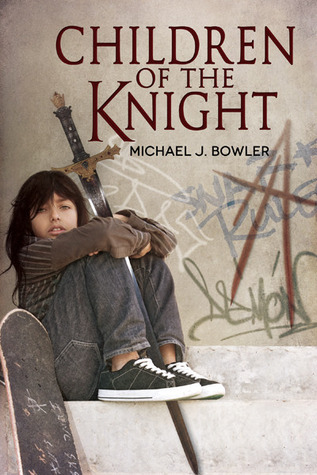 Lance, homeless and just 14 years old, is First Knight and Arthur is able to transform the children under his banner into an army that is well-trained. They become known as the Children of the Knight. Arthur uses his leadership to train them all and they soon have the admiration and the love of the rest of the city. They also learn to deal with who they are and what they can do to make society a better place for everyone. There is one problem that they face—the rich, influential and smug politicians who just do not want any changes to the way things are. What happens next is all in the book which I strongly suggest that you read. This entry was posted in GLBT fiction on June 22, 2013 by Amos.